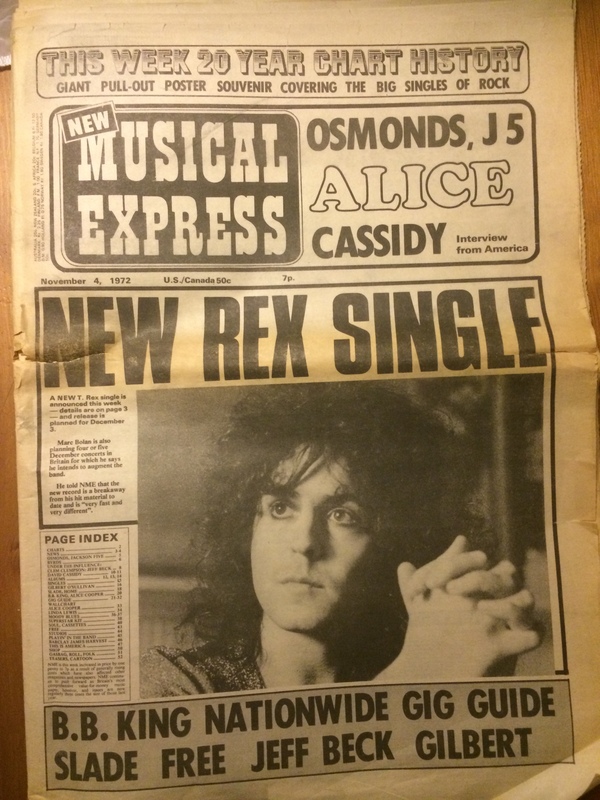 ARTICLE ABOUT Free FROM NEW MUSICAL EXPRESS, NOVEMBER 4, 1972 | My Things - Music history for those who are able to read. I have personally transcribed this from the original paper and you are free to use it as you like. If you use it on your own webpages – please credit me or put up a link to my blog. If you really like this sort of thing – follow my blog! Thank you! There are not a lot of people in the music business that can boast about being in two truly well-known international acts. 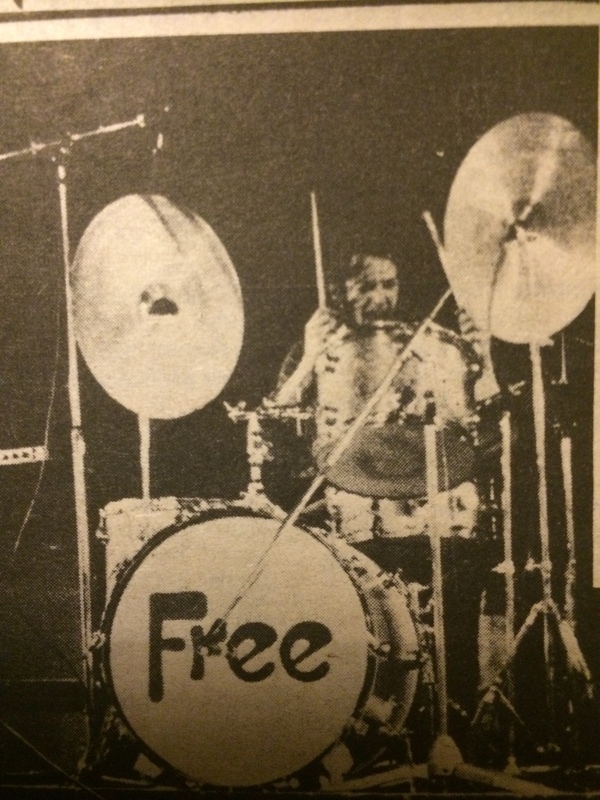 Simon Kirke is one of very few people in that category by being a member of both Free and Bad Company. When Free disbanded in 1973, they had sold more than 20 million albums worldwide. Simon Kirke have come a long way since his upbringing in a small village at the Welsh border – he now resides in Manhattan with his wife and four children. Midday in Berkshire and the traffic is rumbling along the busy main road near Reading. This part of the country appeals to the rock community. Roger Daltrey has a cottage here and Rod Stewart is not far away. Most of Traffic have settled here too and it`s easy to see why. Simon Kirke is relaxing at his detached home which stands in about a third of an acre of land. It`s nothing elaborate by group standards, but very pleasant. Because of the road, Kirke doesn`t enjoy total peace, but he does have freedom and privacy, and that counts for a lot. So the Free drummer is happy with life. He seems to have shrugged off his disastrous run of illness, and, of course, Free are back in action and trying to come up with the answers we all want to know. Where are they headed now? It is too early for comparisons with the “old” band. But Free have definitely decided to hold on to that educated simplicity which was always their greatest strength. In effect, the first band died a year ago. We are now left with a new bass player, Tetsu, and a gentleman named Rabbit on keyboards. Of the originals, Kirke, Rodgers and Kossoff remain. Did he think the band`s followers might have forgotten them? Nobody knows what will happen for the band in the future. But the guys have the experience to handle most things. To many, Free were born with “All Right Now”, but the story goes back much further. If you can recall the headlines and hysteria that surrounded the success of “All Right Now”, you`ll know the band had a lot to handle. “I think it affected us a great deal,” admits Kirke. “But because we`d been formed two years, we were strong within ourselves. So we handled it pretty well – but we could only do it for a certain length of time. “There were things like follow-up singles and schedules for albums to think about. Everything was more pressurised; the whole scale just got incredibly big. “We just want to play music, to play our songs. It`s once you start being asked to write a song for your follow-up – once the business side starts affecting your music – that you start worrying about what the public expects. Then you`re on the wrong track. “We managed to stave it off by putting out `The Stealer` as our follow-up. We were just so knocked-out with it that we said, yeah, let`s release that. On reflection, it wasn`t such a good idea, but we loved the song. As you know, it flopped and we got a load of criticism. Kirke spent most of his youth in a small village on the Welsh border. But even though he was isolated from the mainstream of the music industry, he had his dreams and ambitions. First on the list was the trip south as soon as he`d finished his schooling. “My only link with London was the fact that I was born there. Occasionally I`d hitch down to see some bands at the Marquee and just drift around Soho, but I never stayed long. “Still, the burning thing with me at the time was to leave home and move to London. I hoped to get in a band. That was what I was aiming for from the age of 15. The day after I left school, I hitched down to London. I stayed with my cousin for six months, until I could afford a flat of my own. I didn`t know anybody else in London at that time. But Kirke admits he worries about the band and that right now he is slightly on edge. “Things are a bit difficult at the moment. We have a new band, consisting of three members who used to be in a well-known group. But, although the name`s the same, we`d really like people to see that this is our new thing. Of course it`s gonna sound like Free. But it`s gonna be a new band. This incredible chart was part of this number of the newspaper. 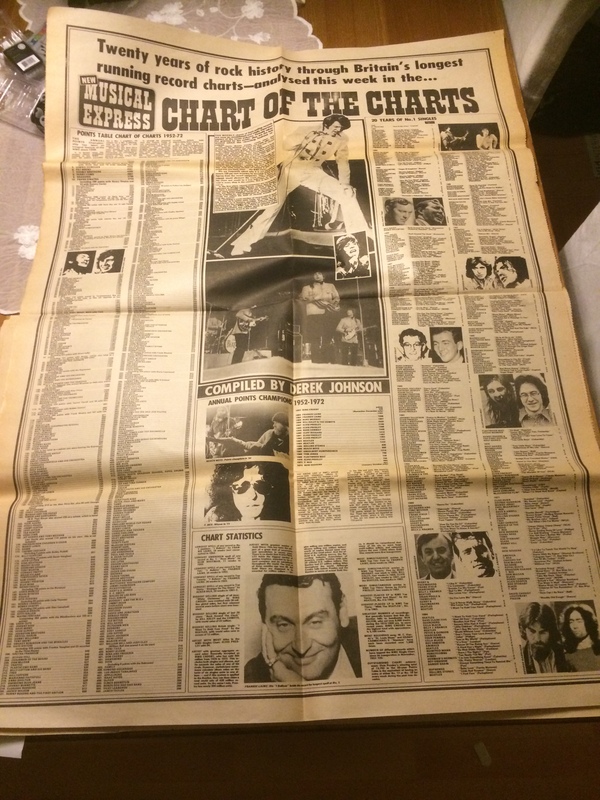 This number of the NME also contains articles/interviews with these people: The Byrds, Jeff Beck, David Cassidy, Gilbert O`Sullivan, Home, Slade, B.B. King, Alice Cooper, Linda Lewis, Moody Blues. The NME this article came from (pictured at the top) is for sale! The offer should be around or upwards of 10 $ (US Dollars) to be considered. (This includes postage). We conduct the transaction through my verified Paypal account for the safety of both parties.